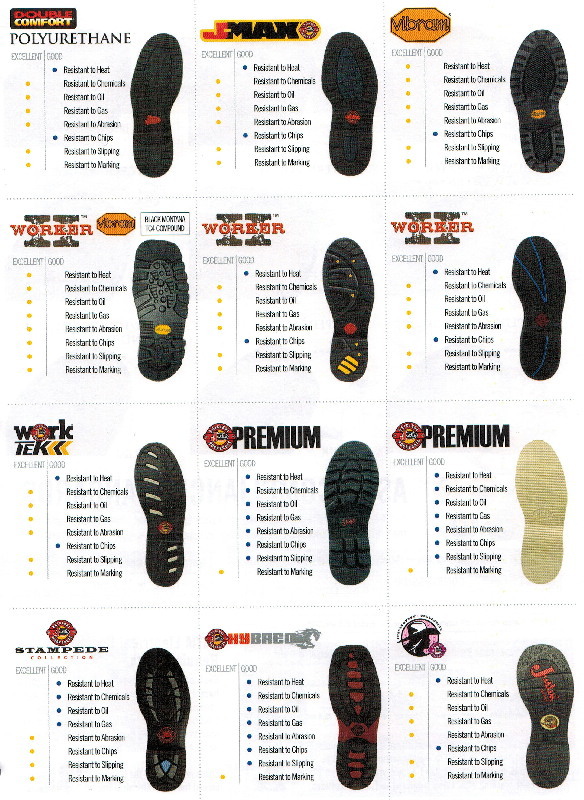 Wesco lace-up boots are available with three kinds of lacing patterns. These lacing patterns influence both the number of lacing eyelets below the lacing hooks and the way the boots are sewn together in the foot. The difference in the lacing styles lies in how far the lacing eyelets extend towards the toe and how the vamp or foot area is sewn. The regular-toe style has 4 eyelets extending towards the toe from the bottom lacing hook, the semi-lace-to-toe style has 5 eyelets and the lace-to-toe style has 6 eyelets. The eyelets are spaced one inch (2.54 cm) apart. 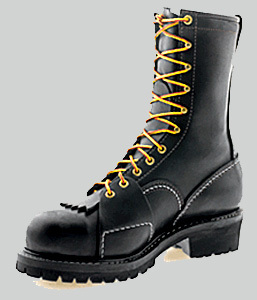 A 10 inch regular toe boot has 4 lacing eyelets at the toe, 5 lacing hooks going up the leg and a final lacing eyelet at the top. The 10 lacing positions, each one inch apart, give the boot it's 10 inch designation, but the boot is actually about 9 inches tall (measured up the inside back from the sole to the top). Safety toes are compatible with regular and semi-lace-to-toe styles but not with the lace-to-toe style. The issue with the way the top attaches is important in that the regular toe boot seam points down, as you can see in the above photos, and it will tend to snag on short sticks or branches pointing up from the ground. The lace-to-toe and semi-lace-to-toe styles have the seam where the top joins pointing upwards. That means that branches or sticks will slide past the seam without snagging. The false tongue or kilty is an 8" (20 Cm) strip of leather with a serrated edge at the bottom which is held in place by the bootlace as it passes through the bottom eyelets. 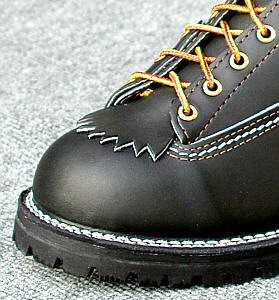 The false tongue comes standard on all lace-up Wesco boots. Whether you use it is up to you. Either you lace it in when you install the laces or you leave it out. 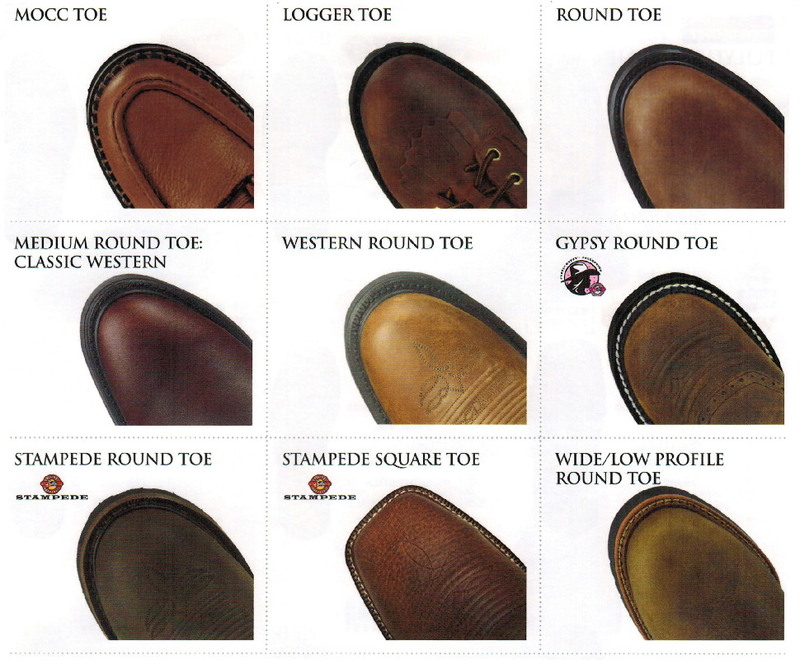 They were originally intended to provide padding between the bootlaces and the instep of the foot in logger boots. This was necessary in boots which used thin leather for the tongue and also protected the tongue from wear by the laces. 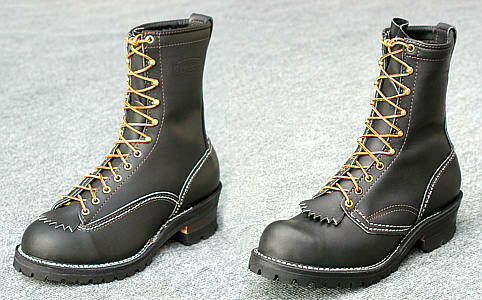 Wesco uses thick, supple leather in the fully gusseted tongue, so the false tongue is not as necessary. It is a traditional complement to the boot.